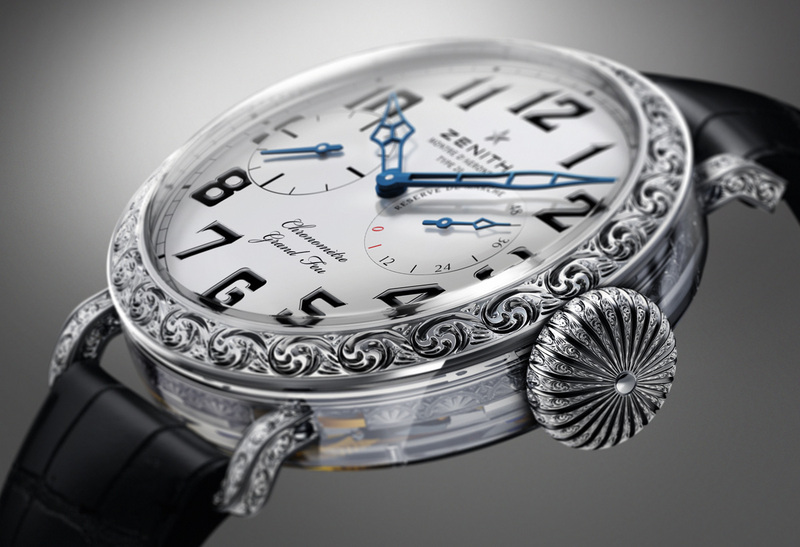 Zenith’s enormous Pilot Type 20 chronometer now boasts the largest sapphire crystal watch case ever, combined with a grand feu enamel dial, and a hand-engraved bezel, lugs and crown in white gold. Launched in 2012, the Zenith Pilot Montre d’Aéronef Type 20 was powered by a new old stock observatory chronometer movement and measured a whopping 57.5 mm in diameter. Now Zenith has taken the last remaining 5011K movements and put them in a 60 mm case made of clear sapphire crystal, resulting in the resulting Pilot Type 20 Grand Feu limited edition. 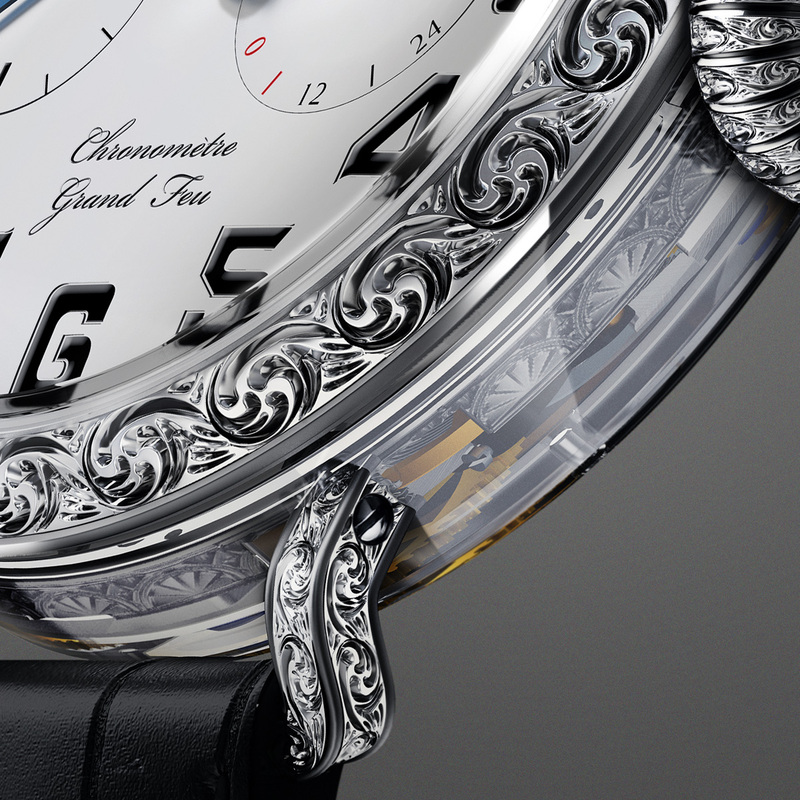 With the case band and back in sapphire, the Pilot Type 20 Grand Feu has a bezel, lugs and crown in white gold, decorated with a hand-engraved Arabesque motif. 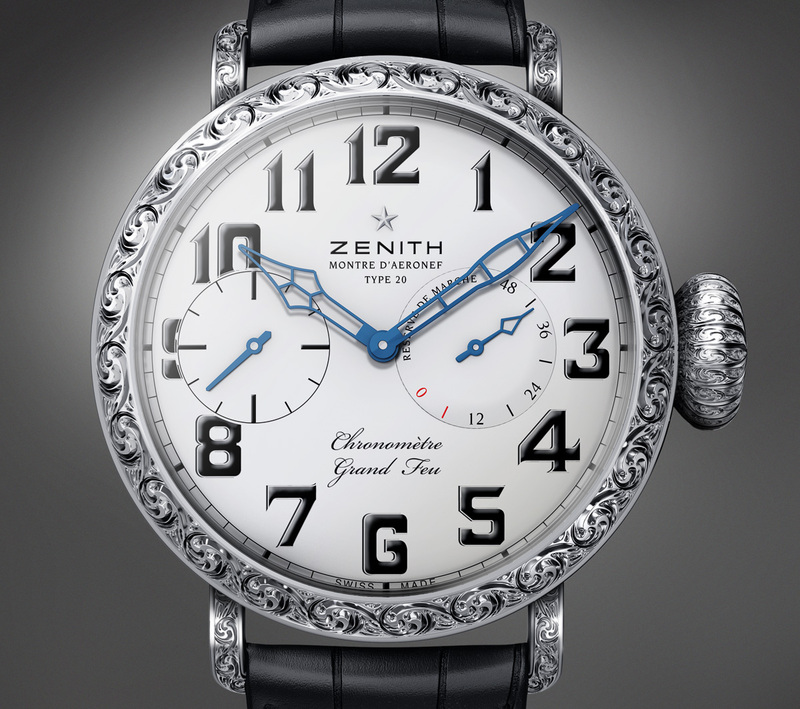 The dial is white grand feu enamel, with the Arabic numerals painted in black enamel. Even though the exterior of the watch is strikingly over the top, the movement inside has impeccable credentials and history. It’s the 5011K chronometer movement, originally designed in 1960 for deck and pocket watches. It was conceived as an observatory chronometer and lived up to its name, including the highest score ever at the Neuchâtel Observatory. 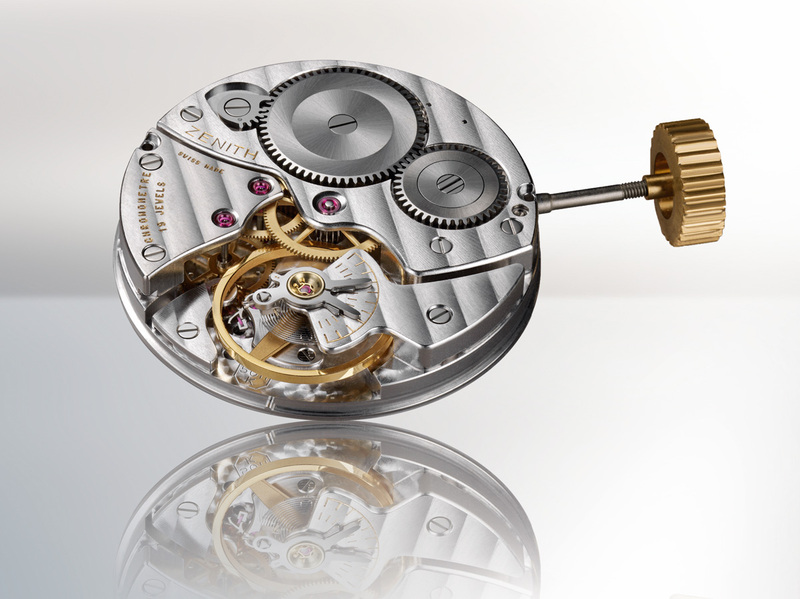 About 5000 movements were made, but the bulk went to other firms, primarily Ulysse-Nardin. 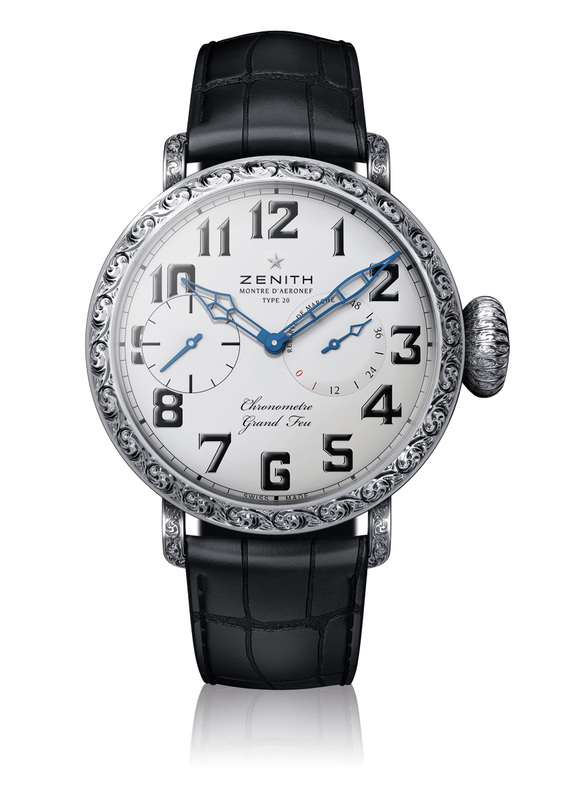 Zenith retained a small number and these went inside the limited edition Type 20 chronometers. The Zenith Pilot Type 20 Grand Feu is limited to 10 pieces, with an almost incredible retail price of 150,000 Swiss francs, equivalent to about US$170,000.